The condition of India's forest and her forest dwellers is extremely grave. A fresh round of police attacks on tribal people -- four dead in Dewas, Madhya Pradesh in 2001; one in Kawardha, Chattisgarh 2003, 12 to 15 in Muthanga, Kerala in 2003 -- testifies to the perversion of the symbiotic relationship between tribals and forests eulogised in the national forest policy. Across states, large areas have been declared state forests without any survey. Areas under multiple jurisdiction where ownership rights are in complete government-made messare being scooped into the forest department's (FD) maw. It is mostly tribal lands the state has taken over as state owned forests by labeling tribals as 'encroachers' on their ancestral properties; a clear travesty of Article 338(9) of the Constitution, which places protection and welfare of tribal people as a sacred trust with the state. Tribal areas are also governed by Schedules V and VI of the Constitution and the Panchayats (Extension to the Scheduled Areas) Act1996(PESA) for protecting tribal rights. Despite this, the Indian Forest Act (IFA) of 1927, the Forest Conservation Act (FCA) of 1980 and the Wildlife Protection Act (WPA) of 1972 have been used to hound forest dwellers. And now, egged on by the Central Empowered Committee (CEC) which the Supreme Court has constituted, the view that all lands with trees are 'forests', which can only be be managed by the FD has been further reinforced. The FD-- the biggest institutional landlord in the country -- is using the interim Supreme Court order of 1996 in the Godavarman case to become even bigger. How have forestry and wildlife laws ended up on a pedestal higher than Schedules V and VI of the Constitution? How can the continued alienation of tribals from their resources and livelihoods be anything but bad in law? 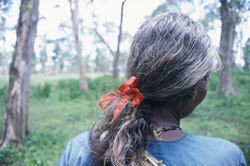 The roots of tribal alienation from forests lie in the policy of earmarking reserve forests during colonial rule. But even the colonial government was more responsive to local claims than the post-independent state. In response to rebellions, the colonial state institutionalised the settlement of existing local rights in the IFA of 1927. Section 28 of this act provides for constituting village forests for meeting local needs. Thusvan panchayats were constituted in Uttarakhand; nistari forests were left aside for local fuel and fodder needs in the Central Provinces and extensive forest rights of villagers was specified in the Chotanagpur and Santhal Parganas Tenancy Acts in Jharkhand. All these recognised the central role of forests for local livelihoods. Also, tenants of zamindars and subjects of many princely states enjoyed extensive customary rights in local forests. The condition of these forests and those dwelling in them deteriorated drastically following state approppriation after independence. Blanket notifications declared all kinds of lands as state 'forests': nistari and gramya jungles (village forests) village grazing lands, natural grasslands, alpine pastures, village ponds and wetlands, areas inhabited by 'primitive tribal groups' and lands under shifting and/or settled cultivation by tribal communities. Such takeover resulted in two critical changes. One, local users with maximum stake in forests were deprived of authority to manage them; and two, management objectives changed from fulfilling local needs to revenue generation for the state. Section 4 (1) (c) of the IFA of 1927, which declares state intention to reserve an area as forest, also requires appointment of a forest settlement officer (FSO) to settle claims of pre-existing occupants and users. In government land appropriation after independence, this safety clause was often dispensed with. Consequently, many forestlands are yet to be surveyed and land rights of pre-existing occupants not settled. In many cases, the areas are yet to be finally notified as forests under sections 20 and 29 of the ifa. Therefore, even their legal status as state 'forests' is open to challenge. Revenue land settlements carried out during 1960-1970 in Orissa, for example, declared the hilly tracts -- predominantly inhabited by the state's seven million adivasis -- as state property without proper survey (see box: What ails Orissa's forests). In Andhra Pradesh (AP), almost all the tribal area under Schedule V of the constitution has been notified as forest. This represents 65 per cent of the state's forest area. Fallow shifting cultivation lands were declared reserve forests and the rights of tribal cultivators over the limited cultivable land left with them were not recognised. Official records note that 77,661 acres of land in AP's 'reserve forests' were under cultivation by tribals prior to enactment of the FCA 1980. A 1987 government memo, requiring regularisation of tribal rights over this land, went unheeded for eight years. And in 1995 a new memo overruled it after the AP- World Bank funded forestry project was initiated. This memo directed that the tribals' lands be brought under Joint Forest Management (JFM) effectively changing its legal status to state owned 'forest' land. The forest department proudly claims it retrieved 37,000 hectares (ha) of 'forest' land from 'encroachments' in Vishakhapatnam district alone. Field investigations by tribal youth of the AP Adivasi Aikya Vedika reveal that several impoverished podu cultivators were cheated of their cultivated lands by bringing it under JFM plantationsclearly a cynical use of a 'participatory' programme. Such acts of omission and commission over half a century have left millions of predominantly tribal people without any formal land titles. Periodic pronouncements about granting property rights to shifting cultivators and other tribals mostly remained unimplementedresulting in day- to-day exploitation of tribals. Declaration of tribal communal lands as 'forests' was blatant state appropriation; it had little to do with their natural quality: many of them either never had or no longer have forests on them. Consequently conflicts between villagers and forest departments ensued. These have festered on for decades with disastrous consequences for both tribals and forests. New areas are still being declared state forests in a similar blatant violation of the law. In 1993the state government of undivided Bihar notified 21272.65 acres of the Damin-I-Koh in Sahibganj and Godda districts of Santhal Parganas as a reserved forest (RF) without appointing an FSO and settling existing rights. Almost the entire area of Damin-I-Kohwhich covers several blocks in Godda, Sahibganj, Pakur and Dumka districts and has a population of over five lakhs -- mostly Santal and Paharia tribes -- has now been notified as RF. Under colonial rule, hill areas of Damin-I-Koh were legally reserved for the Paharias to practice shifting cultivation. Post-independence reservation usurped these rights reducing Paharias to 'encroachers'. In the words of Agrarian Assistance Associationa non-governmental organisation (NGO) in Dumka district"the lives and property of the people residing in the area have become a plaything for forest officials under cover of implementing FCA. Declaring large areas as 'forests' through blanket notifications has also made a mess of official land records. Some were transferred to forest departments. Others remain in revenue records as revenue lands. Still others are entered in both revenue and forest department records. Even as the FD treats those occupying these lands as 'encroachers', the revenue departments continue managing the same lands for totally different objectives. This situation prevails in almost all states in the country, including in the Northeast (see box: Mess in Mizoram). FCA 1980 froze legal land use for roughly 22 per cent of the country's land area for forest conservation. The Act's mandate extends to lands for which notifications only under Section 4 of IFA 1927 had so far been issued. Areas recorded as 'forest' in any government record also come in the act's purview. Given the pathetic state of government land recordsand the diverse categories of land for which the term 'forest' has been used in the pasta wide range of common lands critical for local livelihoods are now to be treated as 'forests'. There is no requirement to verify the current status of these lands. Did forests ever exist on them in the past? Do forests still exist? What rights do people enjoy? What function these lands play in people's livelihoods? For the FCA such questions are superfluous. The 1996 interim order of the Supreme Court in the Godavarman case has further complicated matters. It requires all forests (as per dictionary definition) to be managed in accordance with working plans prepared by forest departments. It has apparently not come to the Court's notice that IFA also provides for village forests under community management and that many of these lands are riddled with disputed claims. These problems were elaborated in six circulars issued by the Union ministry of environment and forests (MOEF) dated September 181990(No. 13-1/90-FP). A framework for resolving disputes between tribals and the State over so-called forestland exists. It was worked out by the Union Government at the intervention of and in association with the Commissioner for Scheduled Castes and Scheduled Tribes (the Constitutional predecessor of the National Commission for Scheduled Castes and Scheduled Tribes) in 1990. At that time MOEF conceded that disputed claims had to be settled through a transparent and just process in which teams from revenue forest and tribal departments would verify tribal claims in open gram sabha meetings. No action on these has been taken for the past 13 years. 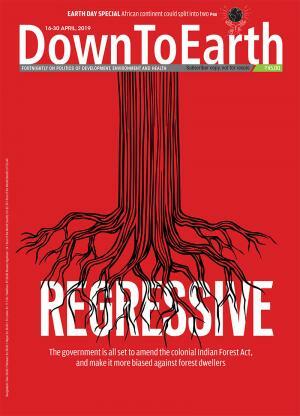 On the contraryboth the FCA and the Supreme Court's interim orders have been used by MOEF and state forest departments to assert claims on lands under jurisdiction of revenue departments and to selectively publicise only one of the six circulars of 1990 dealing with 'encroachments' on 'forest' lands. Consequently, those tribals (and other forest dwellers) who may have genuine land claims, even as per government admission, have been treated as 'encroachers'. The biggest beneficiary has been the forest bureaucracy -- ironically against whose mismanagement the public interest litigation was filed by Godavarman. The blinkered vision of the CEC has aggravated the situation. Composed only of foresters and wildlife conservationists CEC views 'forests' as areas divorced from all socio-economic or cultural contexts as spaces from which forest dwellers need to be removed like vermin. This body most often transcends its advisory and monitoring mandate to issue draconian orders, which not only cause havoc in the lives of lakhs of poor but also imperil the cause of sustainable natural resource management. ORISSA: Despite the pathetic status of survey and settlement of 'forest' lands in the statethe CEC simply expressed 'grave concern about the ownership and control over forest land by the revenue department', demanding that it be transferred to the forest department at the earliest. But in fact one of the best outcomes of the FD's limited control over protected forests and unclassed forests under the revenue department in Orissa has been that in about 7000 to 8000 villages, community-based organisations are protecting and regenerating forests on their own without any FD or donor funding support. This is largely because they depend on these forests for diverse products and ecological services. Community Forest Management (CFM) groups in Orissa have formed federations at clusterblock and district levels and have been demanding the adoption of a CFM policy instead of the FD-controlled JFM. Today RFs under the FD lie degraded next to caringly nurtured gramya and khesra forests (village forests) under village protection. Had the CEC been sensitive to community and tribal issues, it would have advised the Court to best leave village forests in the hands of existing community institutions under PESA and/or through declaring them village forests under Section 28 of the IFA. Besides it should have given priority to the long pending settlement of rights through the process outlined in the MOEF's own circulars of 1990. Instead, the CEC has only shown interest in transferring land to the forest department to initiate 'scientific' forestry that alienates villagers and destroys biodiversity. UTTARANCHAL: Unmeasured wastelands were declared 'District Protected Forests' in present-day Uttaranchal by the colonial government in 1893 under IFA of 1878. On March 17 1997, the principal secretary of undivided Uttar Pradesh issued an order stating that the FCA applies to these lands in woeful indifference to everything that had occurred in the intervening 110 years! According to a knowledgeable local resident, about 80 per cent of Uttaranchal's housing is built on such land. How will calling this land 'forest' on paper help conserve forests? If the CEC demands that all 'forest' land be transferred to the FD as it has done in Orissa then will most of the population of Uttaranchal be evicted as 'encroachers'? MADHYA PRADESH: Large blocks of uncultivated lands of zamindars and princely states in MP were declared protected forests after independence. Lands outside demarcated forest blocks were marked orange on the maps. The state government decided to denotify and transfer these 'orange areas' to the revenue department for distribution among the landless. The paper transfer and denotification never happened but pattas were issued by the revenue department to thousands of villagers under government instructions. One of MOEF's own circulars of 1990 requires that pattas/leases/assignments issued by the revenue department for 'orange areas' under due government authority and the then government policy should be recognised. Yet in an order of 2002, the CEC directed handing over these areas to the forest department "after removing encroachment, if any, within a period of six months" in compliance with the Court's interim orders. The areas include chote and bade jhaad ke jungle (community lands earlier set aside as village grazing lands and community forests to meet villagers' bonafide needs) and 'orange areas' which include nistari forests set aside by the British to meet villagers' fuel and fodder needs. Till independence these were managed by traditional village institutions and according to recent researchat least in Bastar (now in Chhattisgarh) in many villages these traditions survive. As in Orissavillagers still consider them as 'their' forests and many protect them on their own. Transferring these will be a managerial nightmare and further alienate villagers. JHARKHAND: To implement the Court's interim orders of 1996 an administrative order dated 27.7.2002 from the Dumka District Collector's 'secret' (gopaniye) branch instructed settlement officers to cancel all pattas issued on three types of land recorded as 'forest' in government records. These are: sakhu (sal)rakha (protected) and jhanti (scrub) forests that lie outside the boundaries of demarcated forestland. A subsequent circular of March 2003 reported that 2000 acres had already been 'returned' to the FD and that the drive should continue. The DC's order does not mention any cut-off date beyond which such allotments are to be cancelled. Entries in the last Gantzer Settlement of 1922-35 are apparently being used as the basis. Allotment of any land to a raiyat recorded as 'forest' in this settlement is to be cancelled. This will have horrendous consequences for some of the most marginalised tribes, particularly in forest blocks in Dumka, Pakur and Sahebganj districts in Santhal Parganas. This order is in addition to almost all of Damin-I-Koh area being notified as a RF. That the order has been issued by the DC's 'secret' branch makes it appear that the administration lacks courage to face the wrath of the uprooted; it is asking the staff to change land records without even informing those settled on the land. MAHARASHTRA: The Maharashtra FD has bizarrely pressurised the revenue administration to transfer all lands declared private forests under the Maharashtra Private Forests (Acquisition) Act 1975 to the FD. Entries of 'forests' in government records, however, bear little co-relation to ground reality: the area in question is not forestland at all. In the four Konkan districts of Thane, Raigad, Ratnagiri and Sidhudurg alone, 3.03 lakh ha of agricultural land of more than one lakh, mostly tribal cultivators,has without the knowledge of the cultivators been declared 'private forest'. With one stroke of pen and without any verification on the ground, these lands were acquired and vested in the state in 1975. Following the Court's interim order of 1996, the process of removing the cultivators' names from the land records has recently begun. Ironically many cultivators received titles to their lands under the land reform legislation (through allotment of ceiling surplus land or its purchase by the erstwhile tenants of large landowners). Kashtakari Sanghatnaan NGO working in the area has brought the matter to the notice of the commissioner. It hopes to get the order cancelled to prevent the eviction of adivasi cultivators. Unfortunately such support is not available elsewhere (Santal Parganas, for example). It is therefore evident that the FD and the CEC are at veritable war against the land and resource rights of tribals. Their bizarre interpretations of the Court's interim order include retrospective application of the FCA even on land legally settled and cancellation of legally issued land titles. The CEC responds like lightening to conservationist complaints about threats to 'forests' or protected areas. But it has ignored all petitions filed by tribal organisations such as the AP Adivasi Aikya Vedika against eviction threats. It has failed to bring to the Court's notice that lands entered in government records as 'forest' sometime in the past never had or no longer necessarily have any semblance of a forest on them or signify village commons and grazing lands. Most strikingly, the CEC does not seem to have brought to the Court's notice the widespread self initiated CFMs in many parts of the country, where transferring the lands to FDs for 'scientific forestry' could prove disastrous. Be it Jharkhand, Orissa, Uttaranchal, parts of Chhattisgarh, AP or Karnataka, community protected forests are invariably in far better condition than adjoining forests under FD control. CFM is also in consonance with the 73rd constitutional amendment in India, which made decentralised governance mandatory. PESA also empowers gram sabhas to manage all community resources including landwater and forest according to its customs and traditions; it is the framework to determine tribal rights to deal with the status of land in their possession. However, neither the Court's orders nor the CEC's approach take this into account. Riding roughshod over tribal land rights or violating constitutional values cannot build secure foundations for sustainable forest management in India. Improving forest governance requires making community institutions key actors by devolving to them genuine management authority supported by clear common property rights. Such vision is clearly beyond the competence of a 5-member CEC consisting of two wildlifers and three MOEF officials. Its membership needs to be balanced by including people with requisite expertise to simultaneously address tribal rights and livelihood issues. Its mandate must include enforcing constitutional provisions related to tribal areas and PESA in addition to forestry, wildlife and environmental laws. No new land should be transferred to FDs without transparently resolving longstanding tenurial and use rights and inter-departmental jurisdictional conflicts. A land-scarce country like India can ill-afford to rely on unreliable entries in outdated land records as the basis to freeze additional land use for 'scientific forestry'. Appointing something like a joint Land Records and Forest Settlement Commission in each state -- responsible for survey and settlement of rights and on-the-ground demarcation through transparent processes -- is required. The institution should have judicial support that can equitably and justly arbitrate competing claims between departments, communities and individuals within the framework of an overall state land use policy. Organised forums and organisations of tribal and other primary forest resource user groups must be provided equal voice in such arrangements. Enabling impoverished forest dwellers to increase their livelihood securitybased on security of tenure and unambiguous rights over resourceswill contribute more to forest and environmental conservation than letting a handful of foresters and conservationists play havoc with their lives.